It’s fall and officially time for pumpkin beer. I’ve picked up a brew here and there, and I do have to say, the best pumpkin ale I’ve had was in Haverhill in Massachusetts at some brew pub. It was glorious and I wish I remembered the name of the place. This was about 7 years ago or so when my parents came up to visit me and my brother while I was at grad school in Boston and him, college. It was on the main street in town (it may be this one: The Tap). Anyways, I’m thinking that maybe I should start my quest for the best pumpkin beer around. A few friends have told me that Southern Tier Pumpking is THE pumpkin beer. I’ll have to see if it’s available here. 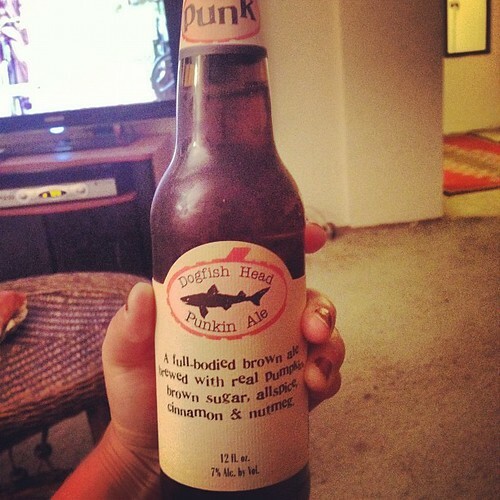 Dogfish Head’s Punkin Ale. I have to say, I was VERY disappointed. I had high hopes because it mixed together two of my favorite things: brown ale and pumpkin pie flavorings. Well, it fell very short. It just tasted like…brown ale. And the guy at the beer section of whole foods (who is the expert there) said that this one was very good and was their best seller. Four bottles for $12. I should’ve known. And Dogfish Head has great beer, so what gives? Another friend recommended Smutty Nose’s pumpkin beer. I’ll see if I can find it. 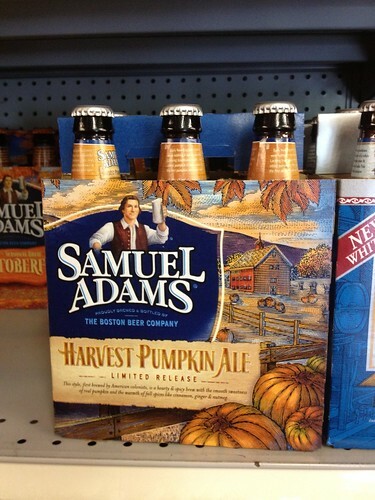 Whilst I was on Long Island, we went to a beer warehouse and they actually had a limited edition Sam Adam’s pumpkin brew. But it was August and way too early to have some pumpkin. I probably should’ve just bought it and dragged it home. I’m going to head to this place later this week: New Beer Distributors. Hopefully they’ll have all the beers I’m looking for. And so, my pumpkin quest begins! Hopefully I’ll get to try a bunch more before I head out to England and France for my honeymoon! ~ by Rori on September 11, 2012.